Ann Zoidis (M.S. Physiology and Behavioral Biology) is the Director and Founder of Cetos Research Organization. Ann has over 30 years of experience as a scientist, field researcher, and wildlife biologist and specializes in marine mammal research. Though she started out studying terrestrial species and birds, Ann has spent most of the last 25 years researching marine mammals. In addition to research Ann manages numerous large environmental projects and runs surveys for various federal or state agencies. She directs many field research projects for various institutions (including at Cetos). Ann spent much of her childhood in Greece where she had close encounters with diverse marine life (whales, dolphins, sea turtles, octopus, squid, and more) while snorkeling. This hands-on exposure to marine wildlife started her love of the sea. Ann spent time in Mediterranean countries growing up and exposure to local fishing practices in various countries gave her an early education to the destruction that can occur from overfishing, gill nets, long lines, etc. Ann has worked with many organizations over the decades all over the US and on numerous projects relating to marine mammals or terrestrial wildlife; she was part of the early days of the ATOC projects in Hawaii as well as many summer field seasons at Mt. Desert Rock in Maine, has worked on USS Winston Churchill shock trials and has managed numerous marine or aerial surveys from start to finish. 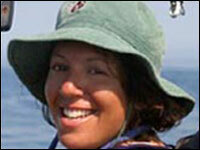 She is a Principle Investigator of a marine mammal research permit for Hawaii and the Marianas Islands. In addition to her academic and research pursuits, Ann is an environmental consultant for Tetra Tech managing projects and conducting NEPA analyses worldwide, and, a Research Associate of the College of the Atlantic in Bar Harbor, Maine where she also is Principle Investigator on a marine mammal permit for the Gulf of Maine and where she works in collaboration with Allied Whale. Ann has conducted numerous species surveys and studies from vessel, shore, and aerial platforms throughout the US, including AK, ME, NY, RI, CA, CT, HI and the CNMI. Ann chose to start Cetos in order to further her conservation and research goals. Cetos is an organization born out of several dynamic factors and fomented by a spirit of collaboration between several long time colleagues many of whom have worked together for decades. Andy Day (B.S. Fisheries and Wildlife Biology) has been a field biologist and research scientist for over 30 years, throughout the US and internationally. After getting his Bachelors Degree from the University of Georgia in 1984, he began working on field biology projects. He has a broad knowledge of ecosystem ecology, natural history, behavioral biology, disturbance studies, avian studies, fish habitat assessment, endangered species, and marine mammal studies. Andy has many skills including being a certified boat operator, a professional wildlife photographer, an expert diver, and a veteran field biologist. Much of Andy’s work has been on seabird or terrestrial bird research. In fact, he currently is a director of the Georgia Department of Natural Resources Swallow-tailed Kite Monitoring program which he has assisted with for many years. In addition, Andy has worked on numerous marine mammal projects nationally and worldwide. Andy is on the Cetos scientific advisory board and assists in many of the decisions involving our projects. He has been part of Cetos’s research since our inception. His insight and perspective have been instrumental in the development and work of Cetos from the beginning and his technical expertise is invaluable. 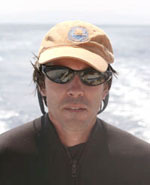 A short list of his skills that support Cetos include his work as an acoustic tech, his expertise with humpback whale behavior, his knowledge of the local Hawaiian waters, his keen observer and ID skills, boat handling and survey skills, and more, all of which supports and enhances our research. Tom Norris (M.S. Marine Sciences) is the director of Bio-Waves, a marine environmental consulting company. 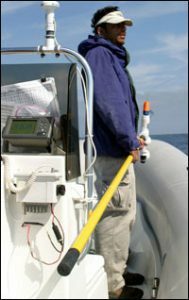 He has over 30 years of experience specializing in marine vertebrate ecology and behavioral biology, marine bioacoustics, and most recently, the development of new technologies to study large marine animals. Tom works with Cetos Research Organization as senior scientist and is a member of the scientific advisory board. His research with Cetos is focused primarily on deep-water acoustic-visual surveys for which he is the lead scientist. Tom led our collaborations with NOAA-NWFSC where he provided expertise on the use of passive acoustics in support of Dr. Brad Hanson’s killer whale research. He also was a lead member in the development of our low cost GPS tag. Tom has worked on several applied projects to reduce the impacts of man-made noise on living marine resources. These includes work on the ATOC (now NPAL) marine mammal research program, the marine animal monitoring and mitigation effort for the USS Winston Churchill shock trials, and a marine mammal mitigation program for the R/V Ewing (the geo-seismic research vessel operated by the NSF and Columbia University’s Lamont Doherty Earth Observatory). Tom received his graduate degree from Moss Landing Marine Laboratories in Monterey Bay, CA.When he isn’t at sea, he is usually in the water surfing or thinking about surfing. Tom Jefferson (Ph.D. Wildlife and Fisheries Science) has been studying marine mammals since 1983, when he was an undergraduate at the University of California, Santa Cruz. His Master’s degree is from Moss Landing Marine Laboratories, and his Ph.D. is from Texas A&M University. He is currently a Visiting Scientist as the Southwest Fisheries Science Center, NOAA Fisheries. Tom’s main interests are the development of marine mammal identification aids, and investigating the systematics and population ecology of the more poorly-known species of dolphins and porpoises. Essentially all of his work for the past 16 years has been related to conservation and management of marine mammals threatened by human activities. Since 1995, he has been working extensively in Southeast Asia, and has traveled widely in the region. His current primary research focuses on the conservation biology of Indo-Pacific humpback dolphin and finless porpoise populations in Hong Kong and surrounding waters, as well as the population biology of bottlenose dolphins in California. He is also working on other projects looking at the systematics and ecology of these species throughout their ranges. In addition, Tom is involved in many side projects, including those on the taxonomy and population ecology of tropical dolphins (Delphinus and Stenella). With co-authors, Marc Webber and Robert Pitman, he has published a comprehensive identification guide to the marine mammals of the world (published by Academic Press in 2008). He has published over 100 scientific papers and books, and has attended many meetings and workshops as an invited expert. He has also spent many months at sea on fishing boats and research vessels in various parts of the world. Tom’s outside interests include mountain biking, hiking, drums and percussion, outdoor photography, and wildlands preservation. He is married and lives in San Diego. A member of the Cetos Scientific Advisory Board, Tom has participated in a number of Cetos research projects and is our Principle lead on all the Vaquita work. Maren Anderson began her love of Marine Science in high school when she was certified to SCUBA dive in Belize. Since then, her passion has continued in her studies and her work. 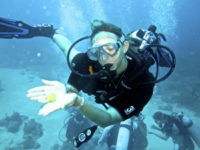 She received a Bachelor of Arts degree from University of Colorado at Boulder, in Ecology and Evolutionary Biology with a focus in Tropical Marine Ecology in 2007. During her studies, she performed health assessments of coral reefs in the Caribbean Sea, Gulf of Mexico, and Pacific Oceans. Upon graduation, she worked with coral and marine ecosystem conservation at Disney World’s Living Seas exhibit as an aquarist, diver and marine mammal research assistant. She assisted in cognitive research of Atlantic bottlenose dolphin as well as the rehabilitation of West Indian manatees. Maren joined Cetos Research in 2012 as a research assistant for the Humpback Behavior Project focusing on the interactions between mother and calf pairs. She works as both a data collector/processor and an underwater videographer in the field. Maren has participated in vessel- and land-based visual and acoustic towed array surveys, assessing the abundance, density and distribution of marine mammals. These included locations such as Hawaii, the Mariana Islands, and the California coast, where she has studied pilot whales, spinner and bottlenose dolphins, Risso’s dolphins, beaked whales, harbor porpoise, California sea lions and harbor seals. She has served as visual observer and assistant acoustics team member on these surveys. On land, Maren serves as a research assistant and consultant for various government agencies in managing marine resources, specifically in marine mammals and coral. She also works as a high school teacher in San Francisco, teaching Genetics, Evolution, and Marine Biology; and is the Director of Experiential Education – working towards creating in-depth and timely experiences for her students. Kate’s passion for cetacean research started when she studied humpbacks in Costa Rica, while completing her BS in Environmental Science (Union Institute & University) with a focus in Cetacean Biology in 2003 and completed her MSc in Environmental Science and Policy at Johns Hopkins University. She is currently working towards her PhD in Marine, Earth, Environmental Science, and Marine Ecology at the Universidade do Algarve in Portugal. Kate’s marine mammal experience includes compliance and mitigation during seismic operations in Cook Inlet, Alaska specific to the endangered Cook Inlet beluga whales since 2007, marine mammal research and observation in the Chukchi and Beaufort Seas during a multi-year baseline study since 2008, and marine mammal aerial surveys during naval training events off Southern California since 2009. She has extensive non-profit and outdoor experience, previously working in Costa Rica with ASANA, rainforest conservation and marine protection organization, guiding in the rainforest of Hacienda Baru National Wildlife Refuge and is currently on the board of directors of HoWL (Homer Wilderness Leaders) in Homer, Alaska. 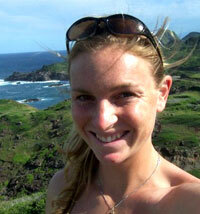 Kate began working with Cetos in 2008 and has participated in the 2008, 2010 and 2012 Maui field seasons. In between those seasons she contributed to our publications, conference presentation work, fundraising efforts, and more. Working as both a data collector/processor and an underwater videographer in the field, she assists in data analysis, paper writing and other technical aspects of Cetos research year ’round. 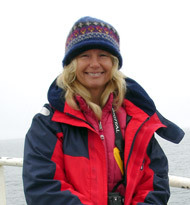 Paula A. Olson has over 20 years of field experience studying whale and dolphin populations in the tropical and temperate regions of the Pacific, Atlantic, and Indian Oceans, as well as the polar seas of the Arctic and Antarctic. She has worked on multiple projects for international, national, and private research organizations. She has co-authored over 30 scientific papers. During the past 10 years Paula has spent a great deal of time at sea for the International Whaling Commission and the National Marine Fisheries Service collecting line-transect survey data on the abundance and distribution of cetaceans for population monitoring, management and conservation. Paula’s specific interest is the geographic movement and stock structure of cetacean populations using photo-identification as a primary research tool. Recently she and co-author Tim Gerrodette of the NOAA Southwest Fisheries Science Center published a catalog of photo-identified killer whales from the eastern tropical Pacific. Currently she is establishing a catalog of blue whales from the Antarctic for the International Whaling Commission. Additional research on blue whales investigates the identity of feeding aggregations in the Antarctic and the movement of blue whales in the southeastern Pacific. Paula is also a wildlife photographer with photographs published in many books and field guides about marine mammals. Paula holds a Master of Marine Affairs degree from the University of Rhode Island. Presently she is a visiting scientist at the Southwest Fisheries Science Center in La Jolla, California. She has participated in Cetos research projects led by Dr. Tom Jefferson and in the future plans to lead projects of her own through Cetos on some of her research interest areas. When she’s not at sea you’ll find her hiking, camping, or running.